If you are looking to add colour and class to your living space, worry no more. 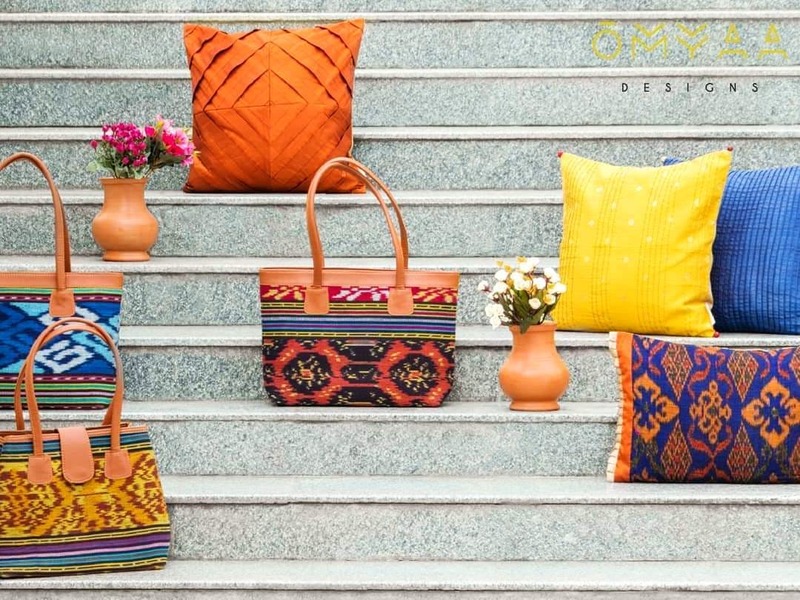 Get home decor made of different kinds of pure fabric from Omyaa Designs, an online decor studio known for its classy cushion covers, mats, pillows and different kinds of bags. We believe, if you want to have a particular kind of decor, nothing beats customisation. You can place such orders with this portal and you will not be disappointed. We love the fact the fabric they use is pure and of good quality. They experiment with different kinds of textile design techniques and come up with colourful results. You can find vibrant cushion covers made of ikkat silk, and pure silk cushions to give that festive touch to your home. You can also opt for regular prints and patterns in mats, bags etc. For an elegant setting, opt for their Batik lumbar pillowcases. We recommend you to check out their bags that will go down well with your ethnic wear. They have an exquisite collection of Balinese ikkat bags! Apart from that, you can take a look at other items like pots, vases and artefacts made of teal. To place your orders, DM them or give a call. Your package of colour and elegance will be delivered to you. We cannot wait for them to have their independent decor studio with more items.